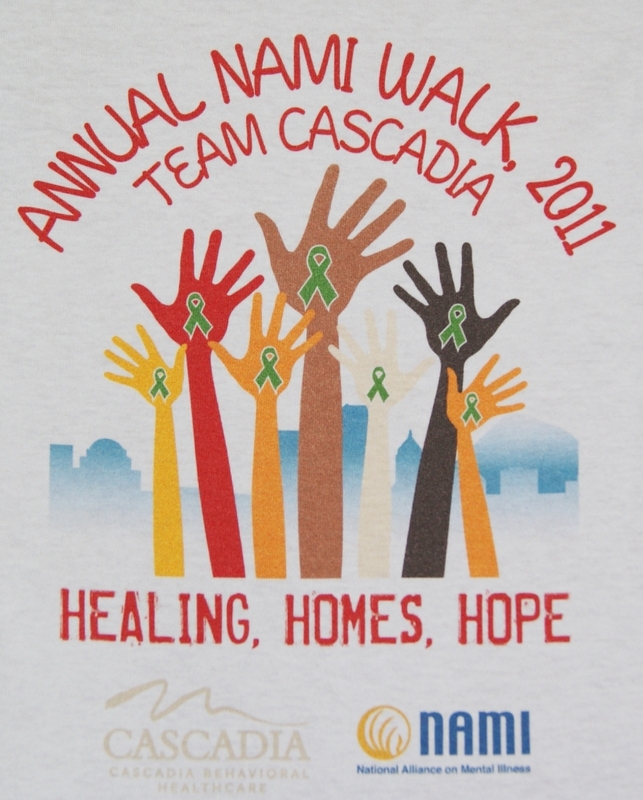 Congrats to Team Cascadia, the winner of the NAMI NW Walk team t-shirt contest! 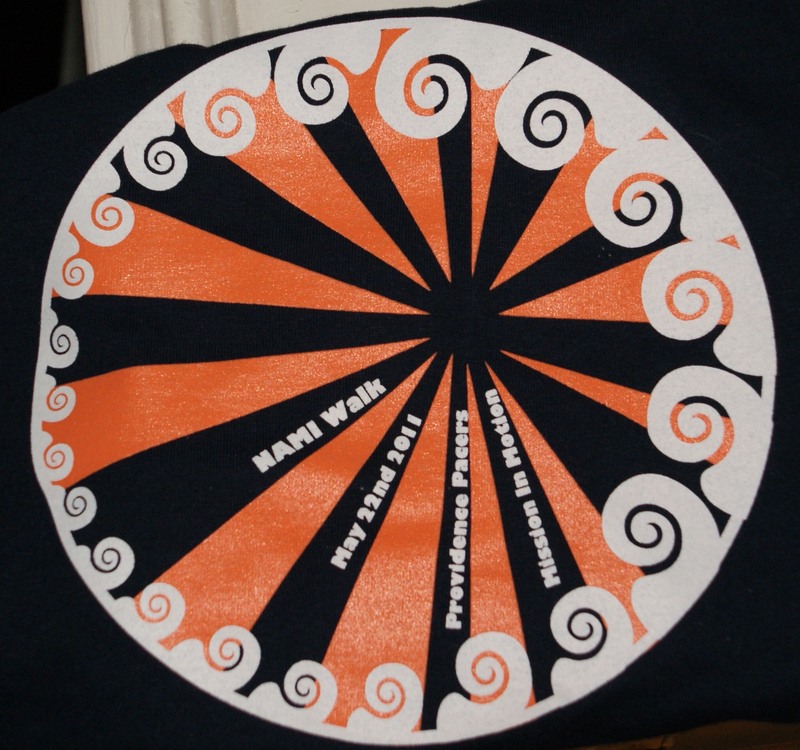 Their shirt will be entered into a contest at NAMI National, where all 41 spring NAMI Walk managers submit their winning team t-shirts into a competition. The team captain whose shirt wins that contest gets $250. Congrats also to Bridge to Health Care and Providence Pacers for being runners-up.